Stoylenski GOK. On-site technical conference No. 3. #WeBelongTogether. 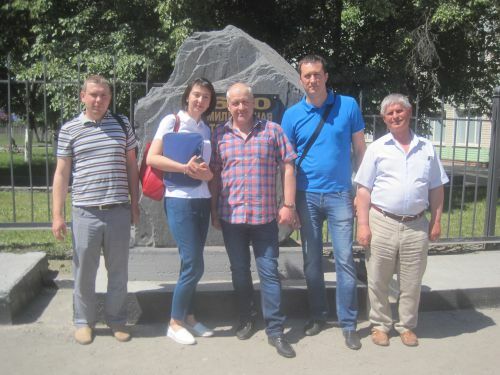 Discussion of new goals to achieve in productivity improvement of the drilling equipment. On May 30, our mobile technical specialists of the service and engineering departments altogether with Sales and marketing director Tatiana A. Drozhzhina visited one of our main strategic partners – JSC Stoylenski mining and processing plant (St. Oskol city). The key topic of this trip as well as of the previous visits was the DRILLING EQUIPMENT, manufactured by Rudgormash, its modernization, the new design developments and experience exchange. For an extended period the operating and maintenance teams of Stoylenski GOK has been working closely with the engineers of Rudgormash. 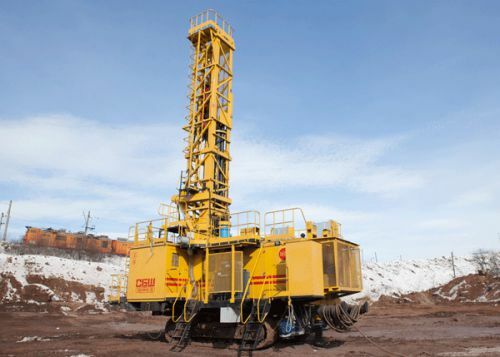 As a result the mining company operates now the modernized and highly productive drilling rigs SBSH-250 that were designed and manufactured especially for the difficult mining conditions of Stoylenski GOK. It was nice to hear the positive feedback both from their leading experts and the operators of the drilling rig. Today our cooperation continues. We understand that economic results of the mining company directly depend on the quality of the equipment they operate. Therefore we struggle to create and manufacture a unique piece of equipment under the customer’s technical order for you to possess a perfect instrument in your work. During this conference #WeBelongTogether our specialists proved their expertness in technical matters, had a productive dialogue with the customer and received a new design recommendations for implementation. We THANK our collegues from Stoylenski GOK for cooperation.